Ivan Boesky, Michael Milken, Dennis Levine, Martin Seigel – you’ve heard their names in connection with insider trading, and may remember some specifics of their deeds. In this book, Stewart – with whom I was lucky enough to study at journalism school – lays out in incredible detail what motivated them to break the law, precisely how they did it, and how they were caught. The book clearly communicates what a powerful factor greed can be, and how the characters in the story acted with brazen disregard for the law. Also, even people who are familiar with Wall Street excess might be surprised with just how much money the industry’s titans made (and make) – yachts, helicopters, lavish estates, it’s all here. When I finished writing Den of Thieves, in 1991, I ended with a question: Can it happen again? Nearly twenty years later, we know the answer: it did happen again. Which begs the same question: are we destined to repeat history yet again? I believe the answer lies in these pages, since this is ultimately a story not about insider trading or hostile takeovers but about human nature. 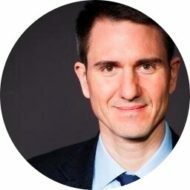 In the most recent financial crisis, the setting has changed to subprime mortgages, asset-back securities, and exotic derivatives. Yet again, the power of vast sums of money to overpower everything in their path – laws, regulations, ethics, even common sense – has been on ample display. And once again, in the face of public outrage, there have been calls for reform. 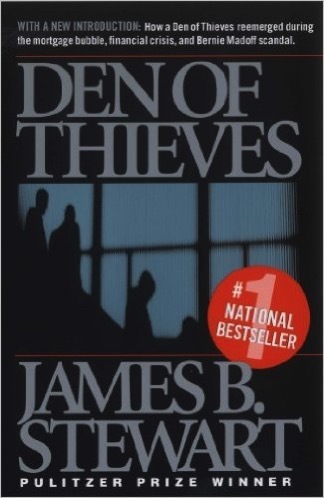 Although “Den of Thieves” contains descriptions of complex matters like financial instruments and elaborate financing arrangements (not to mention a huge cast of characters), it is still a page turner – even at over 500 pages long.